This is the tale of identical triplets living in a quiet, uninteresting corner of Hyrule, each with an earnest desire to escape and see the world. Their section of Hyrule isn't on the lavish maps produced in honour of their hero Link, but is off the edge and out of view. Not even smashing pots is much fun in their village. The story begins with a life-changing moment for the brothers, as the eccentric land-owner of their corner of the world - who decided he should be referred to as a King - decided he wanted to expand his wardrobe... or something. Frankly, the reasons didn't matter, but he was seeking heroes to conquer frightening lands in a manner befitting the great Hero himself - as they'd be teams of three setting out on these quests, the triplets couldn't help themselves. The King had been smart - he'd offered fame and glory but no actual prizes. 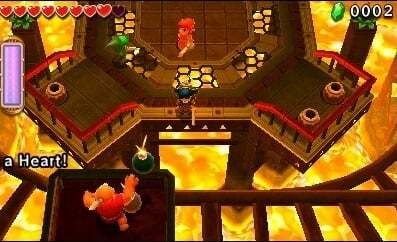 He'd rather taken his cue from Princess Zelda, who's often rewarded Link with friendship and loyalty rather than riches; that perhaps explains the Hero's continuing reliance on smashing pots for Rupees. The King was offering neither friendship or loyalty, of course, but used the allure of celebrity to tempt gullible competitors such as the triplets. And so Tomin, Alexandros and Antonio - their mother was to blame for their peculiar names - headed off to registration in the 'King's' palace. The crowds were heaving, and the buzz was that Link himself, or at least a low-res portable version of him, had shown up to support the event - his reported Rupee problems no doubt made the prospect of a paid appearance tough to ignore. The brothers couldn't get a good look, but with their slim frames and flowing golden locks - wigs they'd bought from the local Link Merchandise Market - had no problem getting in. Handed four fairies, lunch coupons and tickets for Hy-wings - neat planes shaped like the Loftwings of legend - they chose their two permitted challenges. The brothers started sensibly with the Forest 'tutorial' level, knowing it'd be an easy win. 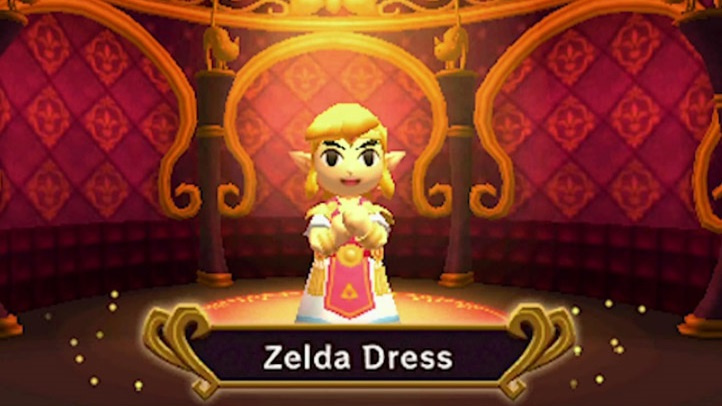 Told to pick outfits to assist their efforts, Alexandros and Antonio donned Kokiri garments to enable triple arrow shots, but Tomin went straight for the Princess Zelda dress. He'd always secretly desired this moment, to wear something pink and slightly frilly out in public - it felt dangerous, but he wasn't alone. No more sneaking around in his mother's closet for Tomin. All geared up, the brothers headed out into the forest. It seemed nice and simple, but it quickly became evident that their sibling rivalry and general mischief-making would be an issue. Teamwork wasn't their strong point, and there were tricky moments with the 'totem'; clambering onto each other's shoulders often prompted the poor brother below to feel the urge to fling the others off, perhaps into a pit. Tomin was also suddenly self-concious of his dress and wished he'd worn less scruffy underwear. The challenges were simple - form a totem, shoot some switches, push a block that had little reason to be there and so on. The inner Link fanboy in each brother started to smile, and progress started to slowly improve. The brothers were encouraged - by a weary adviser following shortly behind - to communicate by waving eight colourful placards at each other with simple messages. Tomin gleefully waved around the pompom-waving Link at every opportunity, but Alexandros and Antonio opted instead for slightly confused shouting as their primary form of communication. After seeing off a weird jelly thing with more difficulty than was expected, the brothers faced their first real test. Five stages were offered, yet the triplets were told that no-one had conquered the Volcano - the promise of fame flashed in their eager eyes. They took the challenge. 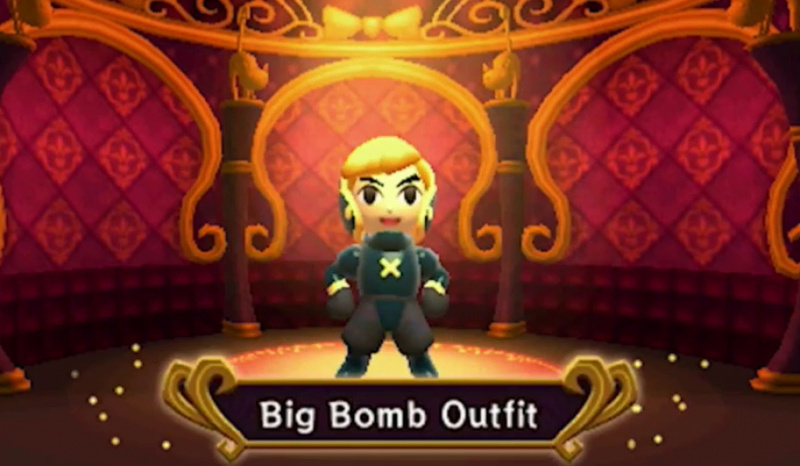 Antonio went for the Kokiri garb once again, Alexandros opted for the Big Bomb Outfit - a suit that looked like an inflatable sumo joke costume coloured in to resemble a bomb - while Tomin (of course) chose the Princess Zelda dress. The Volcano loomed large, and once inside the sweltering heat prompted Alexandros to regret his puffy bomb outfit - Tomin felt smug in his comfy, loose-fitting dress. There was lava everywhere, and each brother picked an item - Alexandros had the Gust Jar, Antonio grabbed a powerful bow, while Tomin had a boomerang. The latter had the neat ability of grabbing his brothers - or bombs - from a distance and bringing them back to him; as the quiet, dress wearing brother of the three, Tomin took pleasure in smiling across an expanse at his brothers as they waited to be fetched. Had he been a bit bolder he'd have subjected them to a reading of some of his experimental poetry before bringing them across, but the contest rep was getting a tad grumpy in the heat and wanted to hurry them along. They eventually arrived at an area that looked like a rubbish runaway train theme park ride, before ogres in mine carts appeared and started hurling bombs at them. Affronted by the cheek of these ugly mugs, the brothers started furiously hurling bombs at the mine carts as they sped around the outside. It resembled a somewhat deadly food fight as bombs flew around the arena, but after some tricky moments the brothers triumphed. Now came the real challenge - they found a creature with a body that resembled a lobster without claws. It would target a brother while helpfully changing its eye colour to match their tunic, which was awfully considerate of it, and the others would run behind it and whack its tail. In the legends of Link this creature would often be an early foe that'd be easily defeated; clearly this was a relative of those slain beasts, as it was angry. The initial task was easy, but after a few hits it lifted its tale up, forcing the brothers to face their weakness - the totem. The two brothers not being targeted had to team up and chase the tail, all while avoiding pillars of lava shooting up from the ground. Taking damage all the while - Tomin was a bit worried about lave shooting up his dress - the brothers frantically tried to tackle the beast while also flinging each other to high ground to grab hearts. Failure inevitably followed. With two of four fairies having done their duty of healing them and then flying away, the brothers made progress - unleashing more damage on the beast; they then observed with horror as it sped up, rapidly switching targets and lifting its tail to a third level. The triplets desperately scrambled to land the killer blow before they were vanquished, but vanquished they were. Their final fairy revived them. Standing above the boss arena, with one more chance to succeed, the brothers looked at each other and shared an unspoken message. They would triumph. By now a second contest rep had appeared, hearing of their near success in the dreaded Volcano stage. The tension was palpable, and the heat was rising. 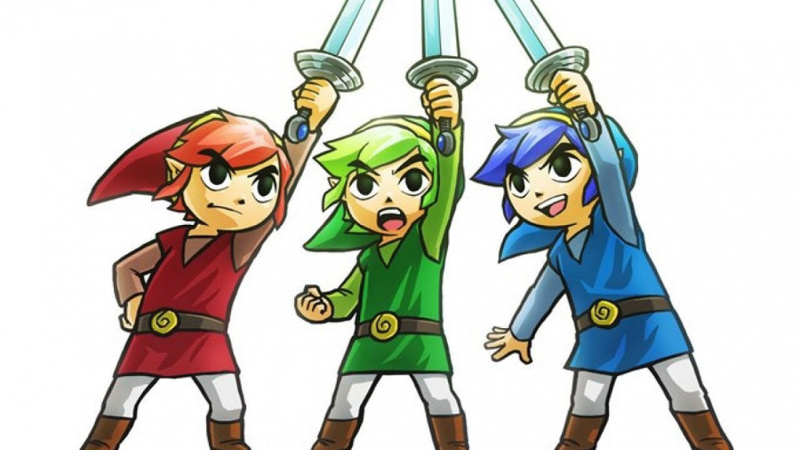 The triplets, desperate to earn the honour of being Tri Force Heroes, leapt into the fray. There were no pompom placards, no unnecessary throws to sabotage each other - all three were focused on winning. Once again reaching the final stage of the battle, the infuriated beast went to its maximum speed, pursuing the heroes around the arena. With just one hit left on both sides, it became a brutal battle of wits and reflexes for one final strike. Just when the brothers thought they were doomed, their chance came - dodging a charge they had one shot at the beast's tale. Antonio, at the top of the totem, gave one final almighty swing of his sword. Time slowed, a second became an age, and the creature paused, flashed and exploded into a million fragments. The brothers cheered, fist pumped, and with their waning energy staggered to the Triforce symbol at the close of the level. In just 20 minutes they'd evolved from squabbling siblings incapable of simple tasks into a cohesive, powerful team. They were Tri Force Heroes, and liked to think they'd done Link proud. 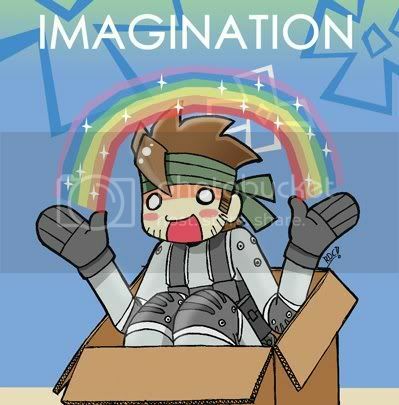 To those unsure, this is a fictional, light-hearted tale, not the actual game plot. Not the least bit interested in this game. None of this story is actually a part of the game, is it? It sounds like it is fictionalizing the experience of a group of testers at E3, not an actual in game story. Very interested in this game. I'll play it with my 2 daughters. Does anyone know if the 3D effect is important to the gameplay, with the totem mechanic and all? Added a note to say this is just me having fun, not the actual game plot. @kantaroo - It should be do-able to play in 2D, sure, but the 3D effect is rather nice. Apparently most people never read the article entirely, else they would've know this story was excavated from the mind of the writer. It's right there at the bottom of the article, if this is the real game plot the writer would've been sued by Nintendo. I mean, this is nice, but is it necessary? And wouldn't it have been better to tell people that it came from the writer's imagination at the beginning of the article? @MightyKrypto If you're so uninterested, why'd you bother clicking on the article? @KodyDawg Maybe there was some new piece of information that would peak my interest? @MightyKrypto Fair enough. But how could one find Link in a Zelda dress uninteresting? When does this game release btw? As a solo player, 3 Links sound better than 4 b/c there are less characters to manage than Four Swords and it probably reduces slowdown. Also, I'm to understand Link isn't in this game? The three brothers' concept and names are cute. I reconsidered my rejection of this game when I happened upon this article. The more you know... Plus who can resist cosplaying? @MightyKrypto Lol, I'm not into it either. I just find it funny in an odd way. Lol so hilarious! Tomin is gay! Very nice! Hope the games story is just as good if not better! @ollietaro Really sorry to burst your bubble but I'm pretty sure Tomin, Alexandros and Antonio are referring to NL writers Thomas, Alex and Anthony. Thomas went with a fantasy touch to report the writers' first experience with the game rather than a stardand tone. 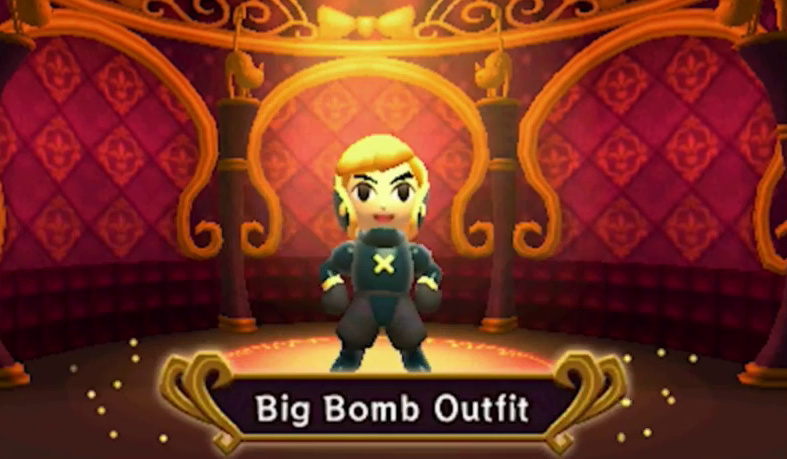 I like the idea of costumes to customize your appearance. I always felt the concept of your "Link", your avatar connection into a far more interesting world was kind of silly to be a static unchangeable figure. Personally I would have tackled gender first but that's a tricky one. "...it felt dangerous, but he wasn't alone." This is perfection. Great job on the story, it was fun to read. If THIS was actually what the story would be like, I would actually consider buying it.